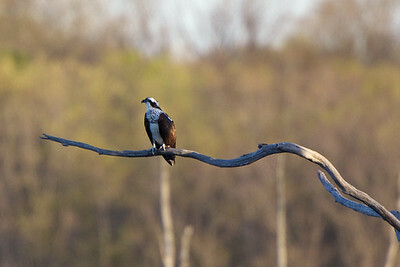 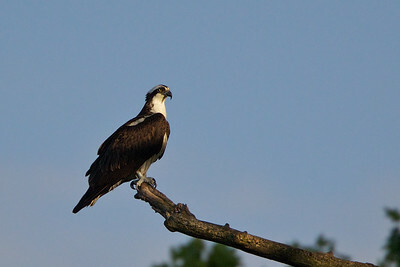 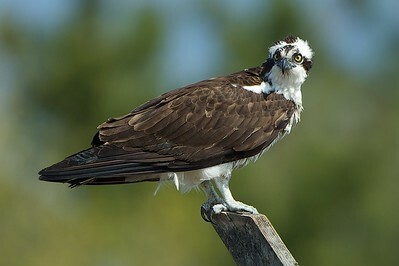 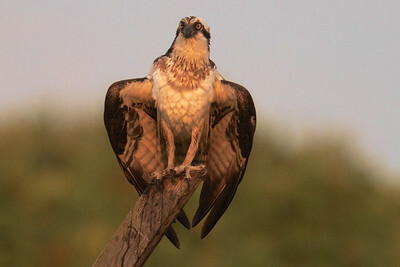 Male Osprey sitting on a nest in Monmouth Beach, NJ. 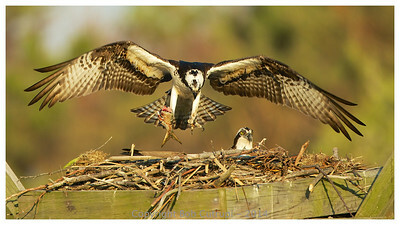 Notice the chick below. 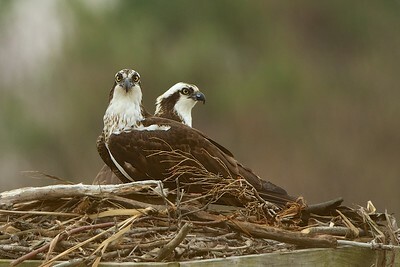 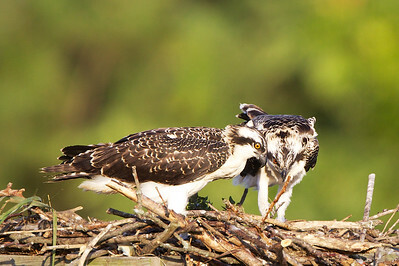 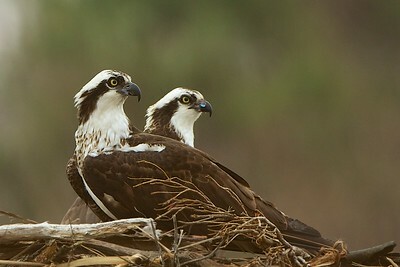 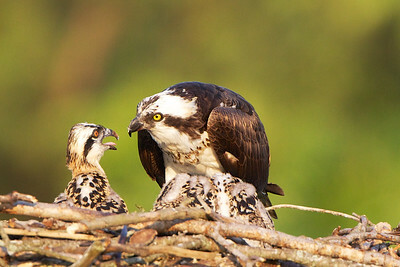 Female Osprey disciplining one of her rowdy chicks. 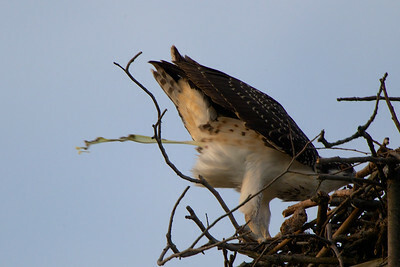 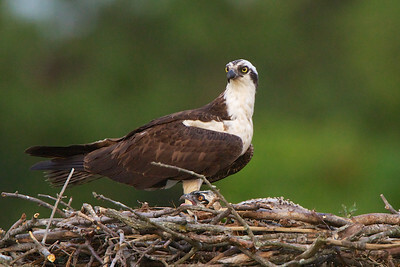 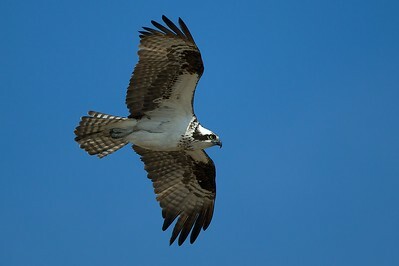 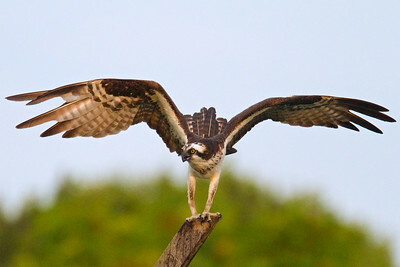 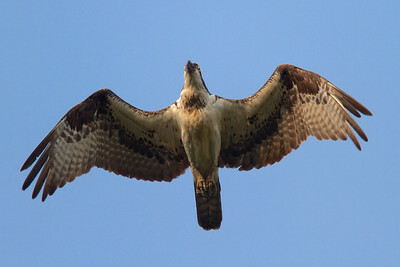 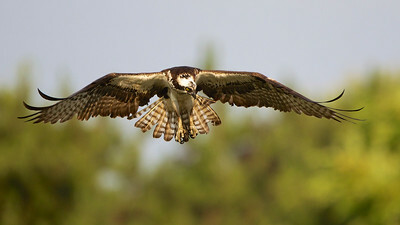 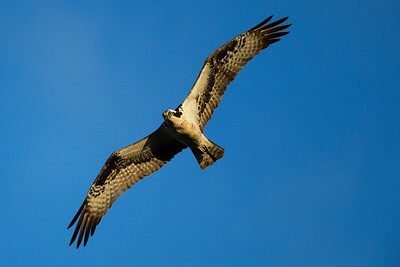 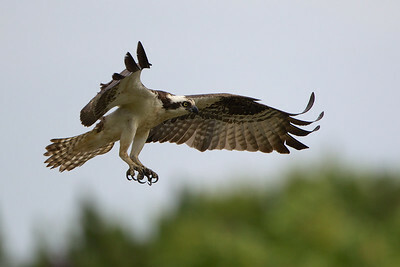 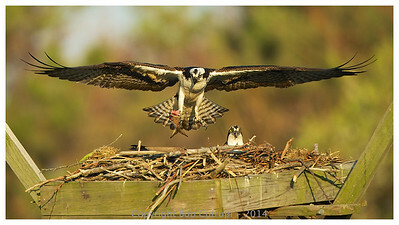 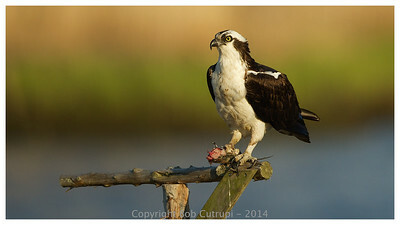 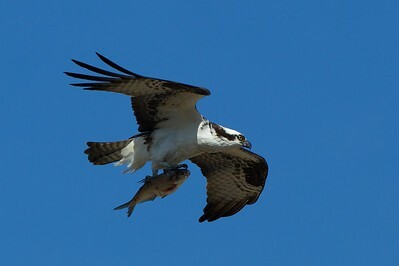 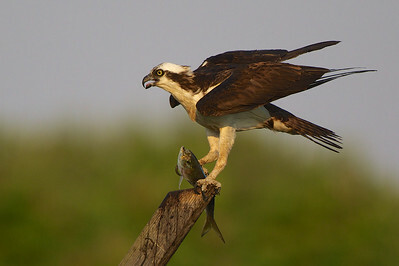 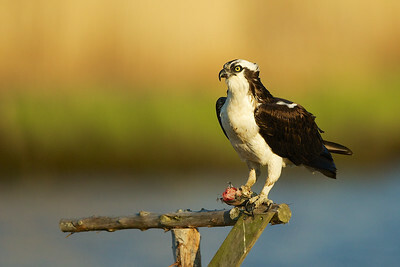 Female Osprey flies back to the nest to eat her fish.